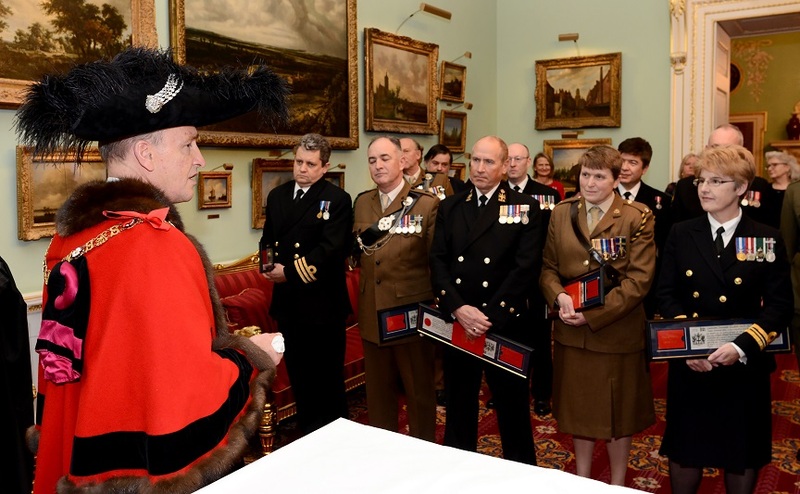 21 Reserves from all three services became ‘Freeman of the City of London’ in an eight centuries old ceremony at the spectacular Mansion House in London on Thursday 1 February. The sailors, soldiers, and airmen were nominated to receive the honour by The Rt Hon the Lord Mayor of the City of London, Charles Bowman, and the Pageantmaster of the Lord Mayor's Show, Dominic Reid. 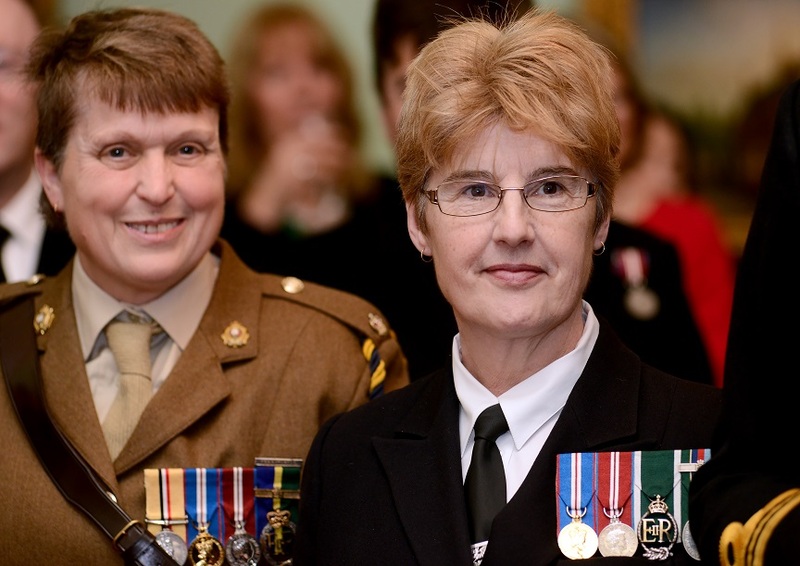 They were chosen in recognition of more than ten years of service as Marshals at the Lord Mayor’s Show. The Clerk of the Chamberlain's Court, Murray Craig, performed the ceremony, which included the ‘Declaration of a Freeman’ and the signing of the Freeman’s Declaration Book. 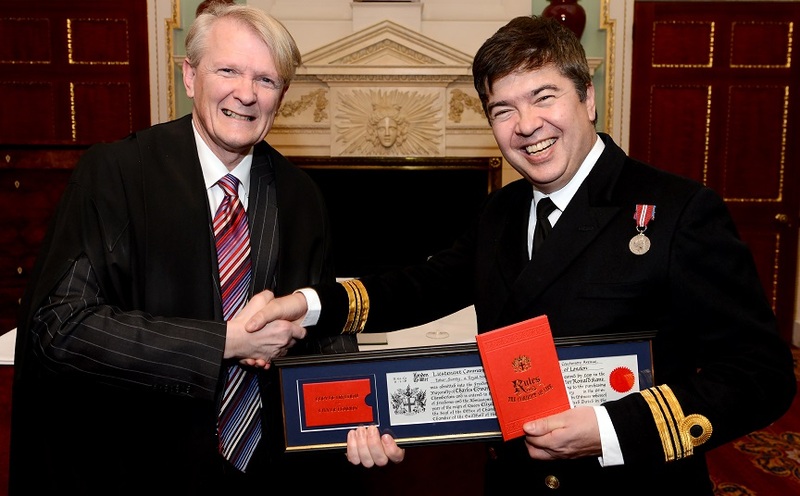 The clerk individually presented the 21 Reservists with a hand written parchment copy of the Freedom, together with the 18th-century book ‘Rules for the Conduct of Life’ written by Sir John Barnard. Murray Craig, the 37th clerk since 1294, describes the symbolic ceremony as a unique slice of history and one the City of London are keen to maintain. The first presentation of The Freedom of the City is believed to have been in 1237, to enable members of a Guild or Livery to carry out their trade or craft within the Square Mile. The Freedom included a number of privileges, such as being exempt from pressgang but also formed the early stages of trading standards. Once a Freeman you are invited to join the Guild of Freemen which brings together Freemen of the City for charitable, educational, social and benevolent activities to promote the interests of the City of London.